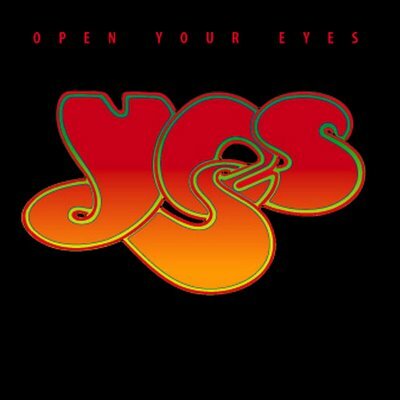 I'm reassured to see the lowest rated Yes studio album also boasting the fewest reviews: proof that most fans would rather not waste their valuable time scraping the bottom of the Prog barrel. In retrospect it's a shame this 1997 CD had to follow the excellent "Keys to Ascension" double-discs, which at the time sounded like the progressive rebirth of a long dormant creative spirit. But don't pin the mediocre ratings for "Open Your Eyes" entirely on disappointed expectations: even on its own merits the album is close to coyote awful, meaning I'd happily chew my own leg off rather than hear it again *. What's even more frustrating is that the album actually kicks off with six minutes of very strong music, lasting through the macho adrenalin rush of "New State of Mind" and into the exhilarating instrumental opening of the title track. But after that the songwriting collapses into sudden rigor mortis, and you can hear exactly when it happens: at the moment the headlong rhythm pauses for Jon Anderson to sing, "You've got a great imagination! "� True enough, which is why I'm able to recognize a discouraging lack of the same throughout the rest of the album. From there it's all downhill: a precipitous slide into the same, inane mainstream pop conventions most fans must have hoped were a thing of the past. Grace notes are rare, but they do exist, for example in the delicate acoustic guitar introductions to "Wonderlove" and "Universal Garden". But otherwise the album sinks under the weight of too many lackluster power(less) pop songs, all of them smothered in a thick syrup of multi-tracked vocals and New Age, Norman Vincent Peale lyrics. Whatever happened, by the way, to the arcane, evocative poetry of classic Yes? The album doesn't even deserve a second "fans only"� pity star, because true Yes aficionados would be the last people on Earth to embrace it. This one is strictly for ambulance chasers and curiosity seekers; to anyone else the album is only worthwhile as negative reinforcement, validating all the acknowledged classics in the band's back catalogue.